Brentwood, Essex, 3 September, 2013 – Ford’s first zero-emission family car will star at the Low Carbon Vehicle Event 2013 which opens this week at Millbrook Proving Ground in Bedfordshire. Visitors to LCV2013 – the UK’s premier low carbon vehicle technology event for vehicle manufacturers, automotive suppliers and research institutes – will be the first to drive in the UK the production Focus Electric, which is now on sale. They will also be able to sample Ford’s class-leading low-emissions petrol and diesel vehicles and gain an overview of future technologies being developed at Ford’s UK technical centres for the next generation of engines. Transport Minister Norman Baker will meet senior Ford technical staff from the company’s Dunton Technical Centre, including product development chief Graham Hoare, who will give Ford’s view on the future of the internal combustion engine and hybrid power units. 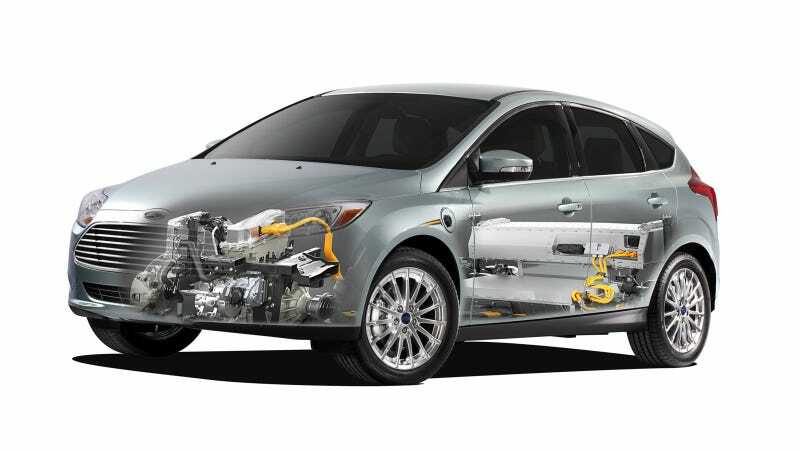 Graham will tell LCV2013 attendees that the most significant overall reductions in carbon emissions will come from traditional power units such as Ford’s sophisticated turbo-powered, direct-injection EcoBoost engines. “The internal combustion engine has not reached the end of the road. EcoBoost represents the current ‘state of the art’ in petrol technology and future improvements will deliver further efficiencies and CO2 reductions. In the medium term the internal combustion engine will remain the high-volume propulsion solution, supplemented increasingly by electrification and mild hybridisation,” said Graham, who is head of Ford’s Dunton Technical Centre, in Essex. Ford’s 1.0-litre EcoBoost power unit, International Engine of the Year this year and in 2012, will be on display in a road-registered Formula Ford-inspired track car, which last year ‘set alight’ the famed Nürburgring Nordschleife by averaging 105mph to return a seven-minute, 22sec lap time – faster than many high-priced supercars. Senior technicians from Dunton Technical Centre and the Dagenham Diesel Centre in Essex will staff the Ford stand at LCV2013, many of them leaders in their fields of research, and will be on hand to offer insights into Ford’s future technologies and strategies.